Welcome to Lake Michigan waterfront sellers of West Michigan real estate - Find Vacation, Second Homes, Land, Condos, Cabins - Waterfront Living in West Michigan On the Shores of Lake Michigan. In addition to our lakeshore home listings in Southwest Michigan, we feature properties and houses on the waterfront or the lakeshore in: Grand Haven, Holland, Ludington, Manistee, Mears, Montague, Muskegon, Pentwater, Saugatuck, Silver Lake, Spring Lake, Whitehall. With homes and vacant lands on lakes, rivers and ponds all over the Western coast. Lake Michigan, Lake Macatawa, Spring Lake, The Grand River, Kalamazoo River are just a few of the many places in West Michigan to find your dream home. We have the widest range of waterfront and lakeshore properties available. If you are looking for knowledgeable, friendly and responsive real estate experts along the coastline of Lake Michigan, we are your one-stop "Link to the Lakeshore". Lake Michigan real estate homes have maintained their value. Western Michigan has an excellent lifestyle and great attractions like Tulip Time. We also specialize in Lake Michigan, lakefront, riverfront and waterfront property in West Michigan Lake Michigan waterfront homes and other West Michigan waterfront real estate including cottages, second homes, condos, vacant land, multi-family, commercial, homes and properties around Lake Michigan. Also real estate for sale in Southwest Michigan and Western Michigan. We feature properties on the waterfront from Muskegon, Mich to Grand Haven and South Haven, Mich to Saugatuck, Mich, Lake Michigan, Lake Macatawa in Holland, Spring Lake in Grand Haven, the Grand River in West Michigan and the Kalamazoo River in Saugatuck. 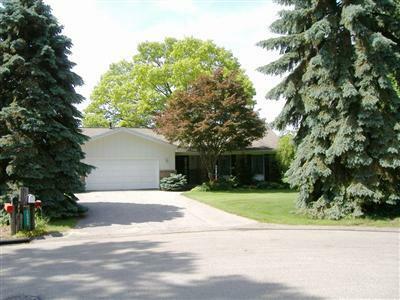 Not limited to Southwest Michigan, We also showcase homes for sale from Muskegon, "Harbor Country", St Joseph and New Buffalo, Michigan. We are your link to lakeshore living; your West Michigan source for waterfront homes, lakefront properties and waterfront real estate for sale all along the Lake Michigan coastline. We feature the largest selection of homes. Ask us about river view, riverfront, lakefront, lakefront view, channel view, riverbank, sandy beach, second home, vacation home, on the water, water access, deeded waterfront access, waterfront property, beachfront homes, waterfront estates, cottages and cabins on Lake Michigan, lakefront second home, or the perfect get-away vacation home or vacant property. Copyright 2010 - WaterfrontSellers.com by Carini Realtors - All Rights Reserved.